They are all Funimation titles in the US. While Anime Limited were for a time their UK distributor (after Manga, Revelation and MVM, and alongside Universal), last year, Funimation were bought by Sony, and they’re taking things in-house. Most everyone is lamenting the loss of Death Parade from UK release, while the loss of Genocidal Organ is especially infuriating, as it’s the final movie in the Project Itoh Series, the rest of which has been released here by Anime Limited. It was also tweeted that the status of the Funimation/Crunchyroll titles on AL’s release slate is yet to be determined. It’s also been speculated that Universal who released The Heroic Legend of Arslan, Seraph of the End and My Hero Academia Season 1 in the UK, have lost their remaining Funimation licenses as well. So no CG Berserk (clouds and silver linings and all that). Meanwhile, Sony are proceeding at top speed in the UK with Funimation titles, having released a grand total of two so far since they bought Funimation, Attack on Titan Season 2, and My Hero Academia Season 2 Part 1. Another week, another CG anime, although Blame! takes us away from the world of superheroes and instead offers us some dystopian sci-fi action instead. 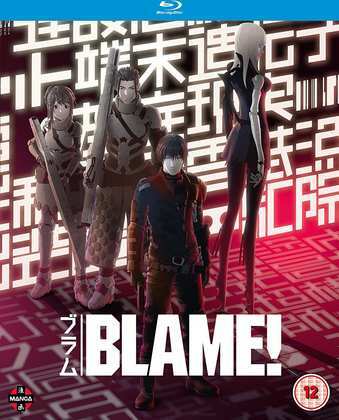 From the creators of Ajin: Demi Human and Knights of Sidonia, Blame! presents us with a world where the machines have taken over, and the few surviving humans live cyberpunk tribal lives trying to scavenge enough food to survive. It’s utterly derivative, but that doesn’t stop Blame! being fun to watch. The quality is strong with Blue Exorcist: Kyoto Saga Part 2, a timely release for the second season of the shonen anime adaptation. Blue Exorcist comes from a similar school of storytelling as shows like One Piece and Naruto, but what this high quality and well-budgeted anime does to tell its story takes the popular genre to a completely different level. What’s more, the story and the characters in Blue Exorcist are really good, making this a great show to watch. It’s a worthy conclusion to the second season as well. Click on the review to read more. 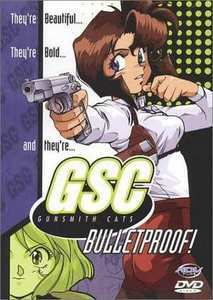 Gunsmith Cats - Bulletproof. So a couple of days ago, Kenichi Sonoda launched a Kickstarter to get a new Bean Bandit anime made. You might remember the vintage Riding Bean anime. Fans have long hoped for more adventures of the Bean Bandit, and his bulletproof headband, and they might just get their chance now. Gunsmith Cats is a spin-off from that story, focussing on Bean’s friend Rally Vincent. She and her friend Minnie May Hopkins are bounty hunters in between running their gun shop. Rally’s a dab hand with guns, while Minnie May likes blowing things up, and they get into all manner of crazy scrapes in this highly entertaining three-episode OVA. Gunsmith Cats was released in the UK by ADV Films on DVD in 2002, so second hand is your best bet for a UK disc. Here’s my review. There is a new copy listed on Amazon, but someone’s taking the mick with that price. The current fad in the US TV space is the remake, and recasting classic characters to get fairer ethnic and gender distribution. I’ve yet to see a TV show as good as the original, and I felt like weeping when I saw the Magnum trailer last week. But Kenichi Sonoda’s Gunsmith Cats has a wholly US-centric feel to it, while the protagonists are strong women to begin with. I would love to see a live action Gunsmith Cats TV series! Manga Entertainment release both Blame! 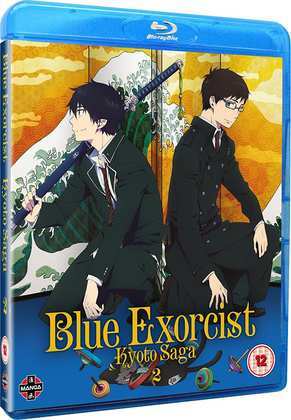 and Blue Exorcist (Season 2) Kyoto Saga Volume 2 on Blu-ray and on DVD next Monday, 28th May.